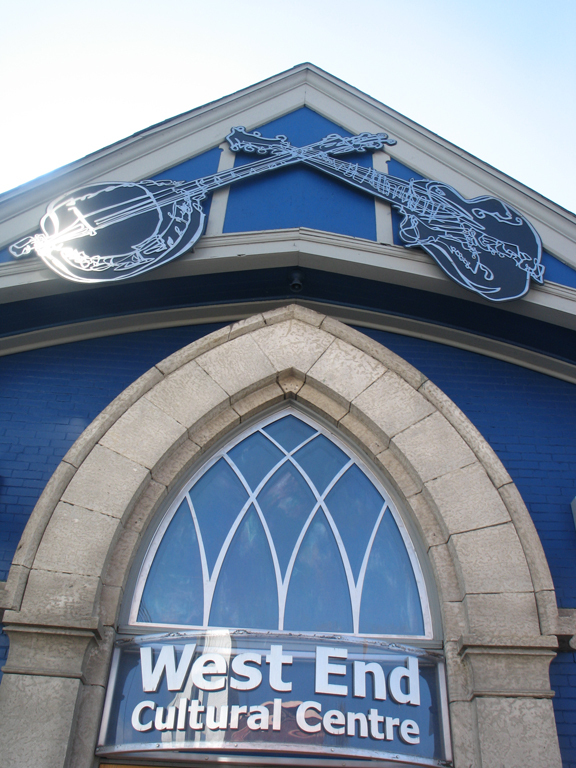 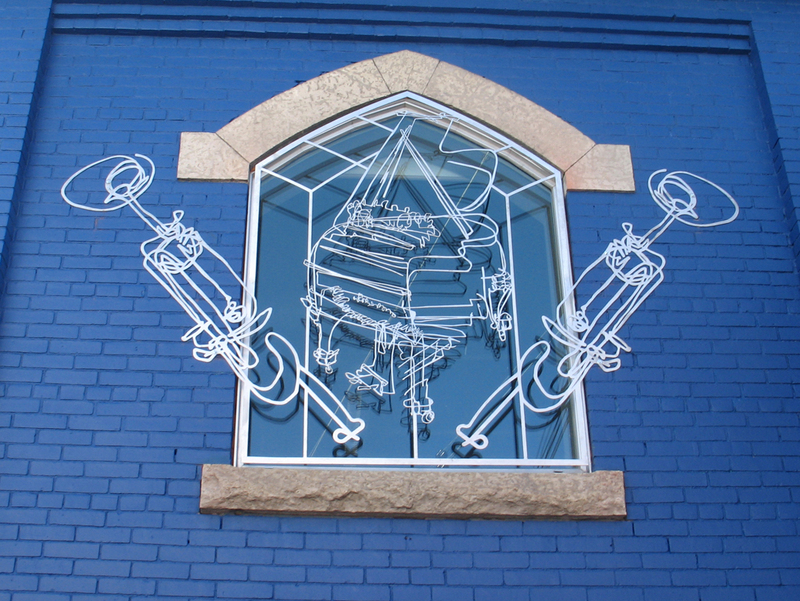 In 2010 James Culleton was awarded the commission to recreate the facade of the West End Cultural Centre, one of Winnipeg’s greatest musical venues. 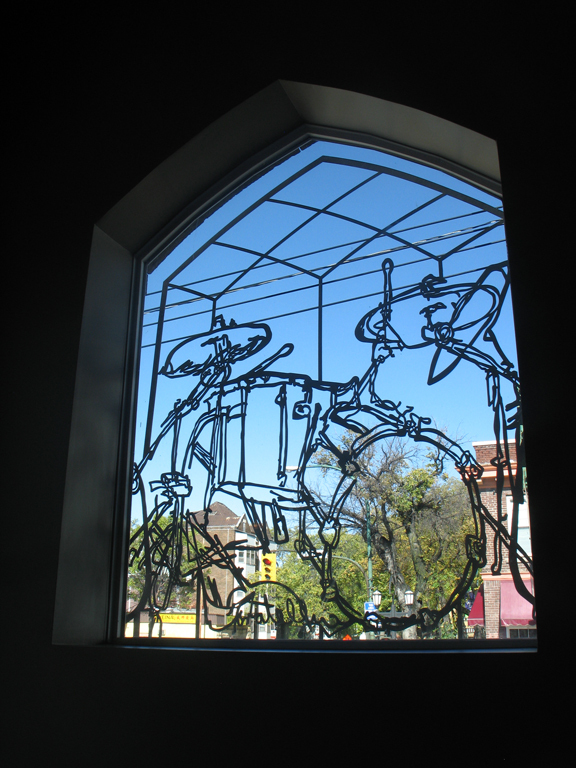 For a year Culleton drew imagery from the WECC’s history and came up with a design that recreated his drawings from that study cut out of steel and aluminum using a CNC water jet. 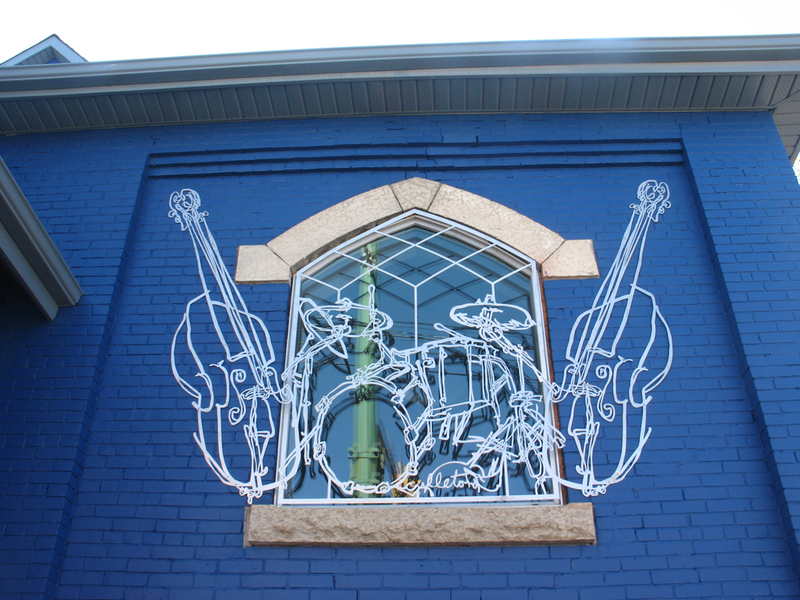 Playing off of some of the tyndall stone and stained glass design details of the building, Culleton’s sculptures become a new and exciting part of the resurfaced facade.